So that is it. Michael Phelps is done with the Olympics after the most awe-inspiring career one can imagine for an Olympic athlete. What will he do now? He will need a job doing something, right? Would you want to talk to Michael about a job in your organization? I would think so. But why? He is a swimmer and well … he is a swimmer. How could he possibly fit in and succeed in your workplace? 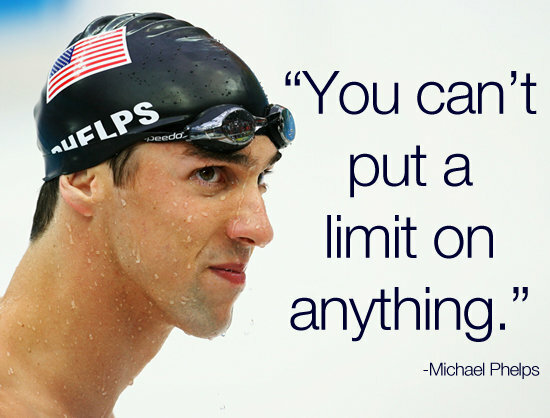 I have little doubt that Michael Phelps and other top athletes like him would be successful in any endeavor they undertake in life after they are done with their sport. Today I read an article at Forbes Magazine with the title, “Why Wrestlers Make the Best Employees”. The article makes the case that elite athletes are a great choice for your next hire. The direct focus of the article is wrestling, but I immediately overlay rowing and other Olympic sports into the same discussion. There is an extra something about these athletes who competed in the so-called “Olympic Sports” vs. the mainstream sports such as football. The workouts are endless. The cheering crowds are small. The passion for perfection is the alarm clock early each morning that drives the athlete to work harder than the day before. The glory is internal. The article states that you, as a job interviewer, should ask this question of job candidates, “Have you ever participated in sports at an elite level?” The elite part is basically beyond high school. Yes a bias toward those job candidates who have indeed participated at that heightened level. It is not the main hiring criteria, but it is one hell of a tie breaker. Capacity to push themselves harder … double-check. Dan Gable, the legendary Olympic Wrestler states in the article that the biggest lesson he learned from his sport was humility. To get “knocked down” is part of the process to learn, improve and succeed in the days that follow. Would you not want to seriously consider hiring someone with this approach to life? Dan Gable has a great line to finish the article, “Once you wrestled, everything else in life is easy“. No worries for Michael Phelps, he will be fine. He was one heck of a wrestler. I’m squarely with you Michael.